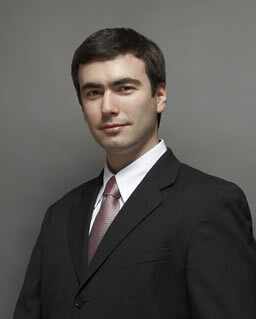 Pavel Khodorkovsky is the son of Mikhail Khodorkovsky, former head of Russian oil company Yukos. The elder Khodorkovsky has been imprisoned in Russia since 2003 on fraud charges and has faced two trials—the resulting convictions are widely viewed as political payback for supporting liberal opposition to President Putin. In the lecture, Khodorkovsky will discuss the conflict of Russian sovereign democracy and rule of law, citing examples from the trials of his father, Platon Lebedev, and Sergei Magnitsky. He will also comment on human rights challenges in Russia including selective justice, restrictions on freedom of assembly, and lack of judicial independence. Pavel Khodorkovsky founded the New York-based Institute of Modern Russia to continue the work his father Mikhail Khodorkovsky began through the Open Russia Foundation. The Institute of Modern Russia seeks to promote the development of civil society in Russia by reinforcing the rule of law and strengthening relationships between Russia and other countries. Since his father’s arrest in 2003, Khodorkovsky has been unable to return to Russia for fear of political persecution and actions against him aimed at pressuring his father to abandon his legal battle. Khodorkovsky holds a business administration degree from Babson College. Part of the series Pluralism in Politics and Culture. CREES Noon Lecture. "Igor Stravinsky's Lost Ballet: Le Sacre du Printemps"
WCED Lecture. "How to Undermine Democracy: Politics in Putin's Russia"